ORWIGSBURG, PA. (July 11, 2018) - The R. Jay Sigel Pennsylvania Amateur Match Play is quickly turning into Nathan Smith’s signature event. The 39-year-old captured his sixth title in nine years Wednesday with a 3-and-2 victory over Max Siegfried at Schuylkill Country Club. Smith won this event for the first time in 2009, the same year he won his second of four U.S. Mid-Amateur titles and made his first of three Walker Cup appearances. Titles followed in 2011, ’13, ’15 and ’17. Last year, he had to battle through heavy rains that stalled the championship match on two occasions. This year, Smith went 1 down to Siegfried with a bogey on the first hole. He redeemed himself with a birdie on the par-4 second. The match went back and forth for much of the opening nine holes and Smith and Siegfried were all square at the turn. Smith won Nos. 10, 13 and 15 – all par 4s -- with par as Siegfried stumbled with bogeys. Smith made a final par at No. 16 to take the match and the championship. Expect to see more of Siegfried, a member of the University of Virginia golf team who plays out of Aronimink Golf Club. He named Sigel, the tournament’s namesake, as one of his role models in the game. The most challenging match for Smith this week came in the quarterfinals when he faced Brett Young. The 25-year-old – playing the event for the first time -- was 2 up on Smith when the match reached the 16th tee, but lost his advantage with a bogey and a double-bogey on the next two holes. Still, the match went back to the first tee, where Smith won with par. “Brett was playing really well and I was fortunate to keep hanging around in the match,” Smith said. “He hits the ball a long way and is a really aggressive player.”Smith, the affable mid-am, has been a big presence in Pennsylvania golf. He was inducted into the Western Pennsylvania Golf Hall of Fame in 2015. Last year, the Brookville Area Chamber of Commerce sold raffle tickets for an opportunity to play golf with Smith. 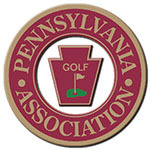 Open to any male amateur golfer who is a member of a club belonging to the Pennsylvania Golf Association. Format consists of two rounds of stroke play followed by a cut to the low 16 players for match play.